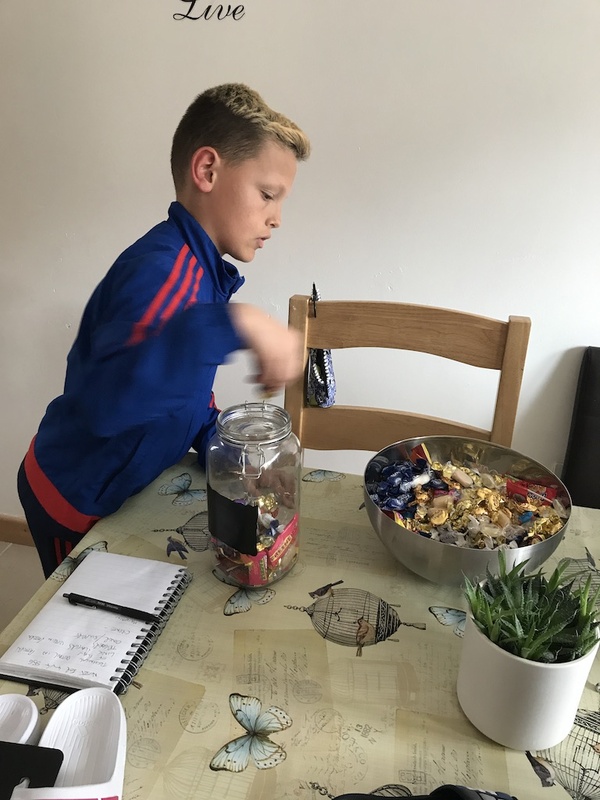 7 May: Mason woke up at 0530 this Morning to go into Royal Mail Bath and sell numbers in his guess the amount of sweets in a jar Challenge. He has raised £111.43 and will sell a few more numbers to friends and family before he reveals the winner. Great effort! 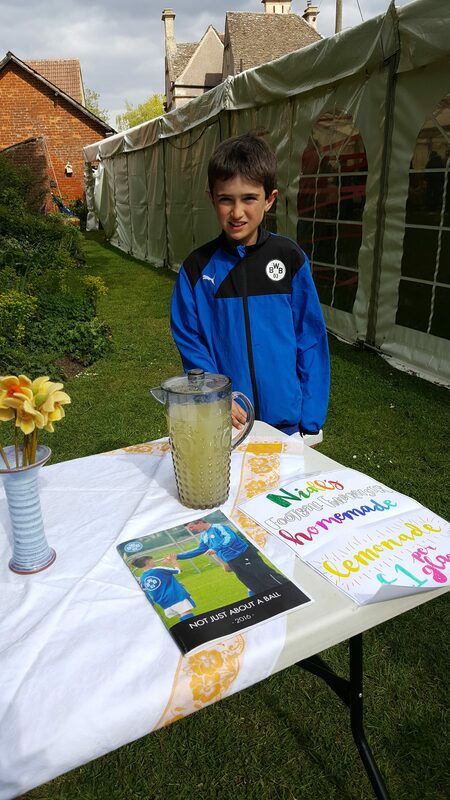 5 May: another recent addition to the squads, Niall, has been busy selling lemonade in the sunshine – and has plans for a tennisthon in the future…..watch this space! 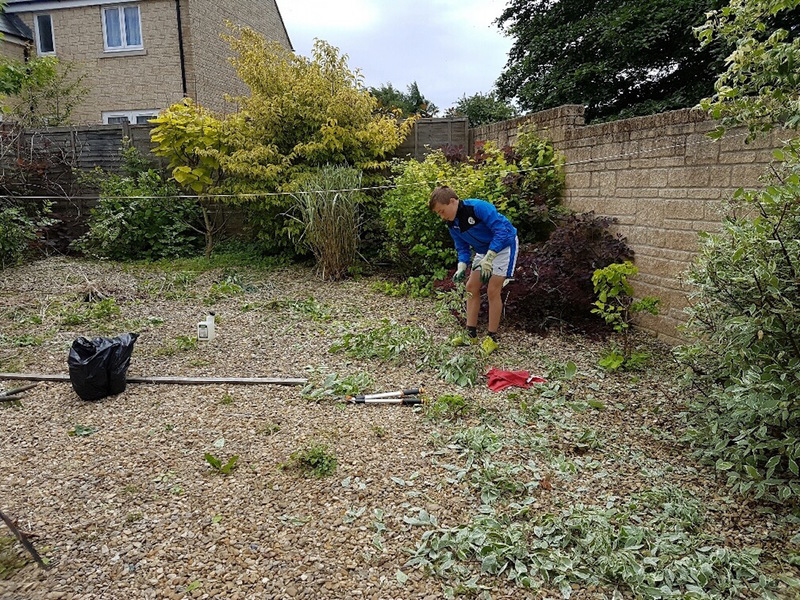 22 March : Despite only joining the squads part way through the season, Kai has thrown himself into the values project by mowing lawns and washing cars – great work! 20 January: here is Max surrounded by his produce hard at work! Hux is now well on his way to raising his contribution to the Finding Values project. As well as doing odd jobs at home like bringing in the firewood and walking the dog he is doing a sponsored read and a sponsored sugar free month. He is allowed 4 days off in the four weeks to allow for outings/birthday parties but otherwise is abstaining from all processed sugar and reading for 10-20 minutes each day. £90.00 so far! Well done Hux. 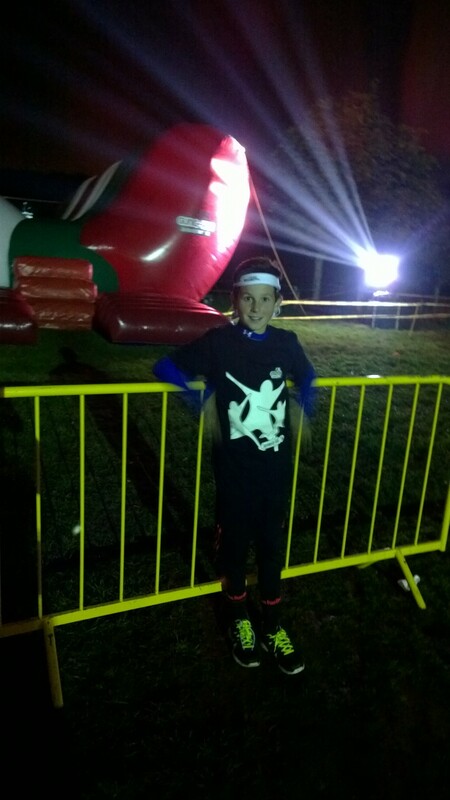 3 January: Lewis W ran the Gung-ho Spooktacular – a spooky 5k around Ashton Court, where he came first in his time wave! 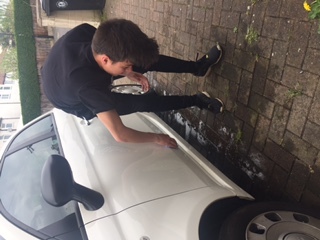 And in his spare time he has been hard at work car cleaning for Excel Bodyworks – well done Lewis! Christmas update: Fundraising continued even in the pre-Christmas rush. Swimmers have been in action; with Noah M swimming a mile in the University pool and year 4 Isaac managing a whole km. 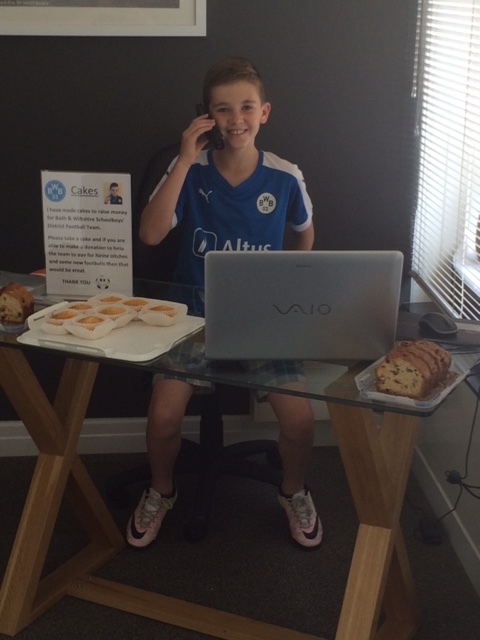 Harry H has been busy selling cakes, doing chores for neighbours and helping his mum with her childcare business. Well done boys, enjoy the Christmas break! 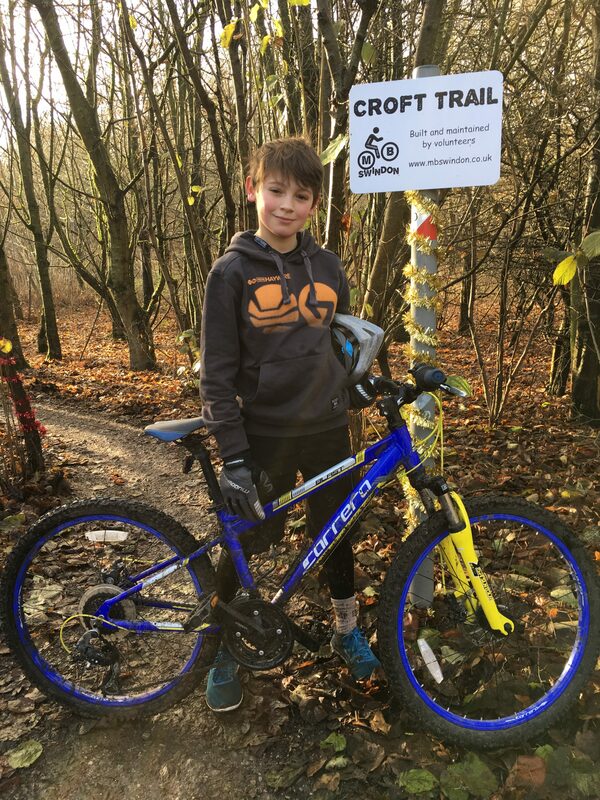 14 December : Not content with just doing odd jobs to raise money, Finn also set himself the challenge of completing 5 laps (over 20km) on his mountain bike of the off-road Croft Trail – which despite the bogs, mud and slippery conditions he completed in 2hours 45mins. Real determination, well done! 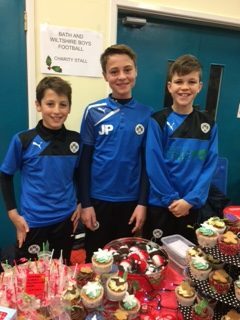 4 December: Jacob, Joe and Juan set themselves an “Apprentice” style task this week – buying and making goods to sell at a stall at the Newbridge Junior’s Christmas Fayre. 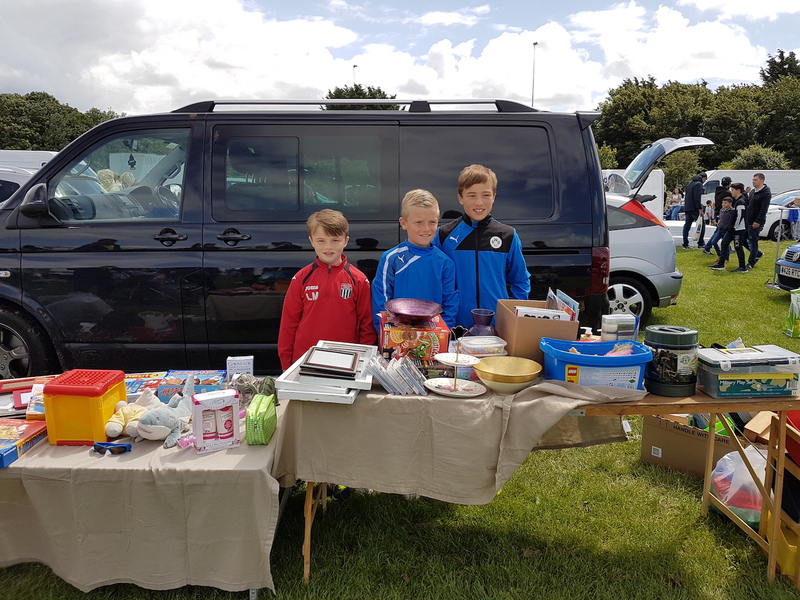 In true Apprentice style there was heavy discounting at the end of the sale – but the boys sold all their stock and made a healthy profit! 3 December: Harvey S handed over a cheque for £450.00 this week following his efforts fundraising which included a triathlon. 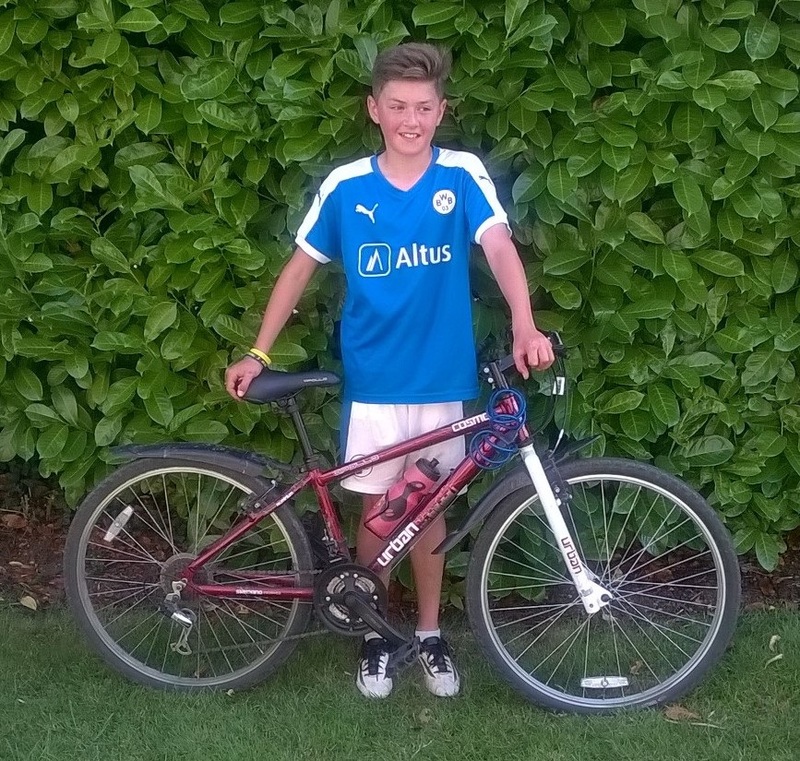 Harvey is know for his fitness exploits and the amount of money he raised was incredible! What a hero! 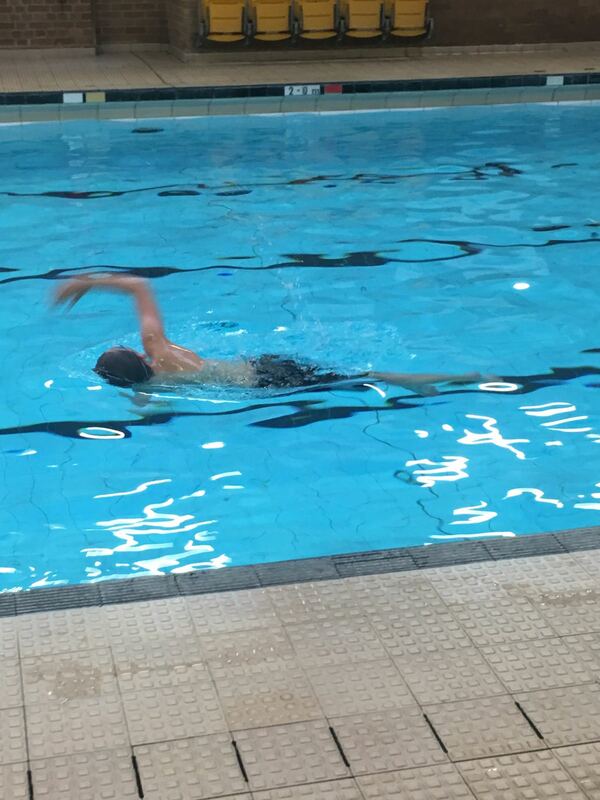 28 November: Ollie took the pool over the weekend, completing a 50 length sponsored swim. He raised an amazing £533, with support all the way from Iraq! 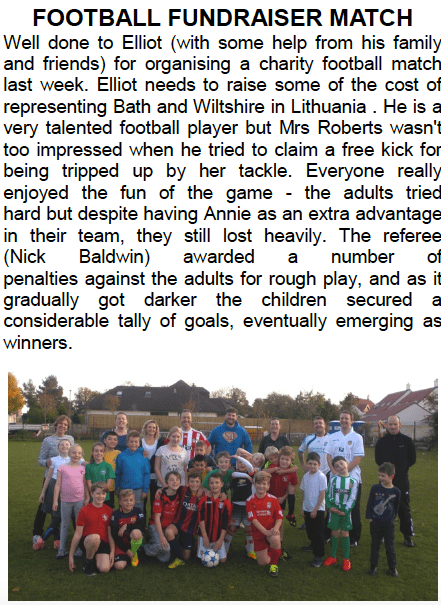 25 November: Elliot arranged a charity football match at Farmborough school – read the write up here….! 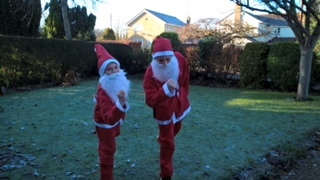 25 November: Huggies and Angel undertook a mammoth task on a cold day on Friday when they attempted to make as many passes needed to get to Ghana and back! 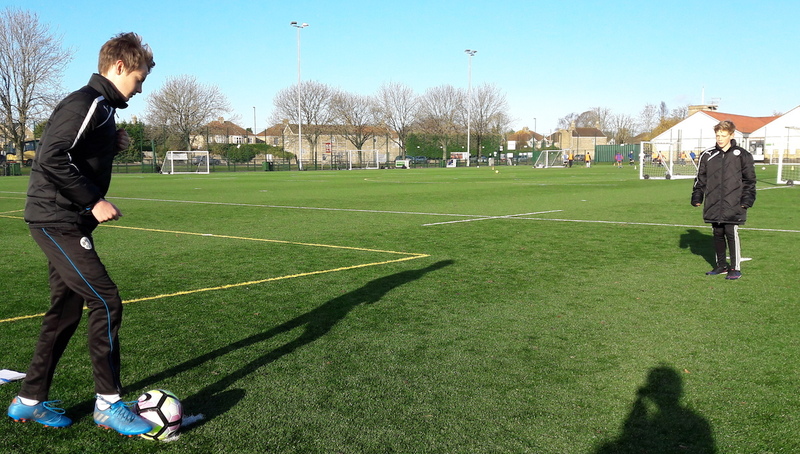 9398 passes were completed in total…with some of them even going to feet:) Well done boys, great endurance! 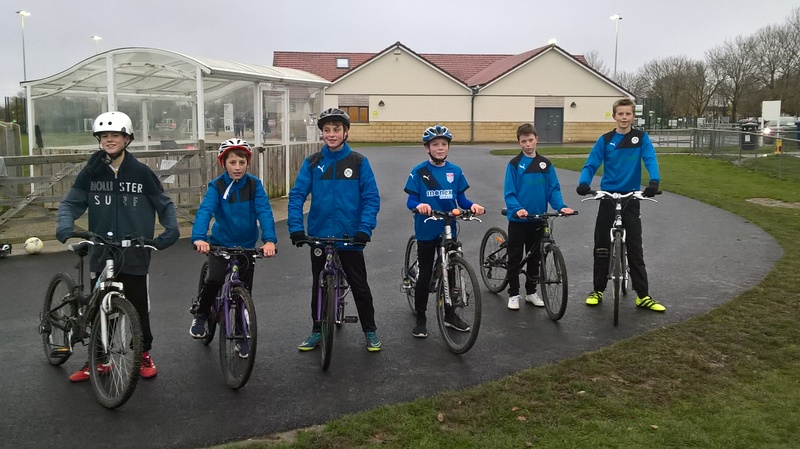 23 November: Joseph, Jacob, Sam, Ryan and Dom got together for a sponsored cycle ride round Odd Down track. Good effort! 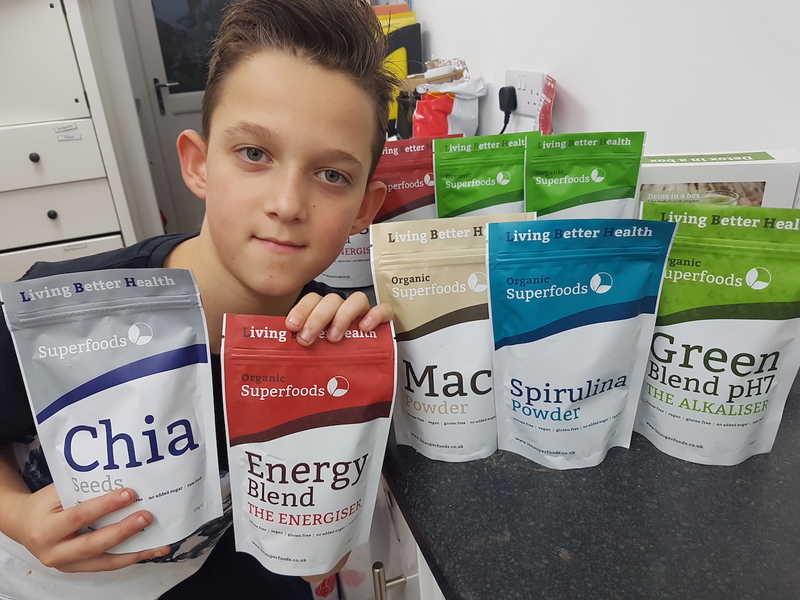 20 November: Toby V held a skirling event as part of his fundraising in his local area. 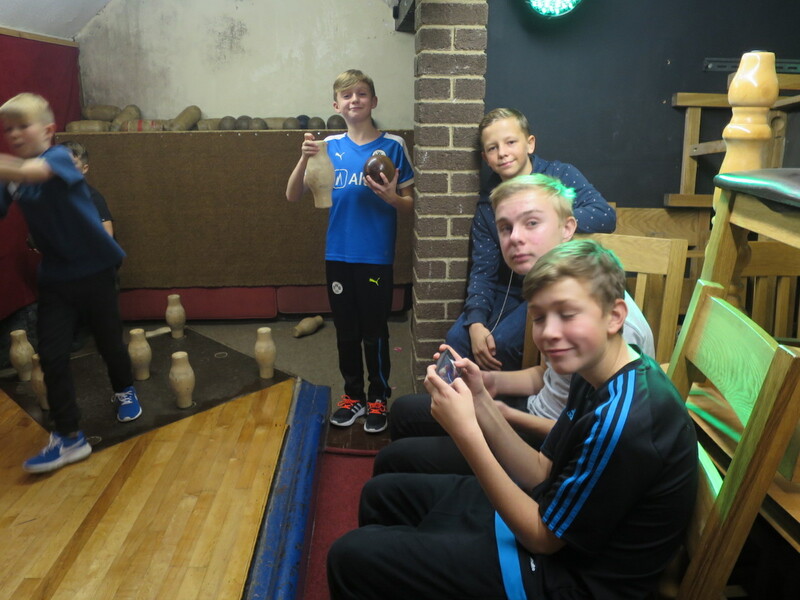 Lots of the boys turned up and it looks like they had a great time as well as raising funds. Well done Toby. 13 November: JC has done a great job raising £115 donning a lovely piny; he should wear it more often lol! 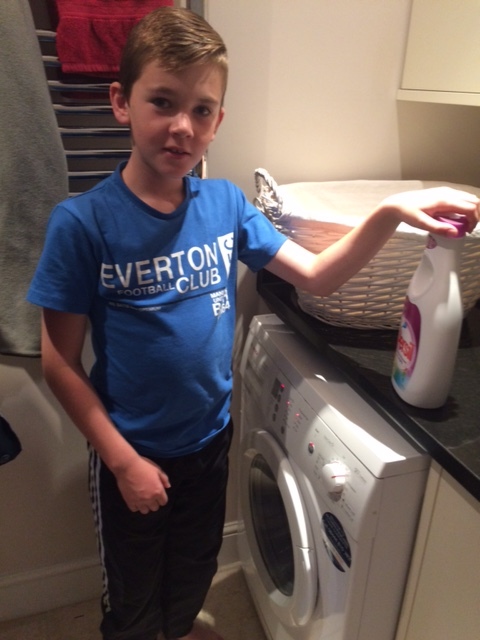 3 November: Thomas has been busy doing the household chores, and completed a sponsored run up Solsbury Hill, raising £120. 31 October: Charles and dad have been on two wheels! They completed a 70 mile ride on the Devon Coast to Coast from Tavistock to Ilfracombe last week with his dad, so far for raising £130 for BWB. 30 October: It seems we have keen cyclists in BWB! 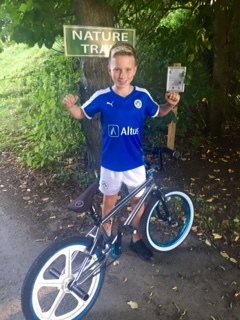 Toby and Noah completed 15 circuits of the Odd Down cycle track in the pouring rain – and U9s Bobby and Matty cycled from Bradford on Avon to Bath and back again. 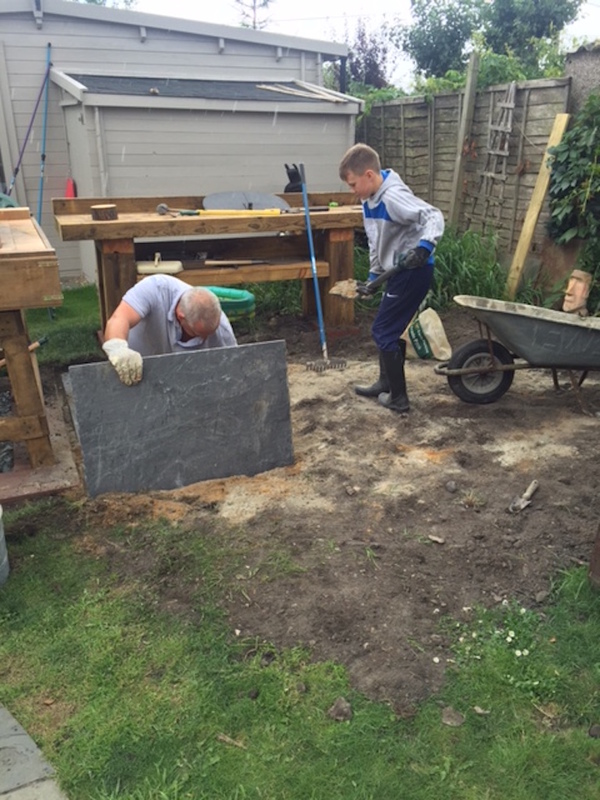 Toby also spent a week smashing bricks for his uncle in the summer holidays…. Great effort all of you! 28 October: Better than watching cake making on tv, BWBs have been doing some themselves – Elliot and Toby have both been hard at work making and selling cakes. GBBO next year boys?! 25 October: BWBs have been keeping busy over half term. 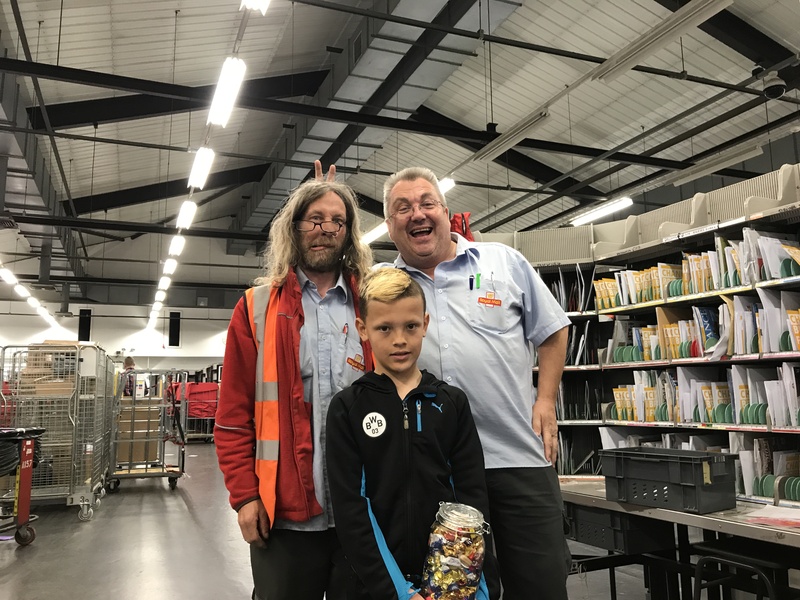 Jake and Keegan completed a sponsored bike ride from Bristol to Bath, and Luke has been selling chocolate apples at football games. It looks windy Luke! 18 October: BWB brothers have been fundraising together. 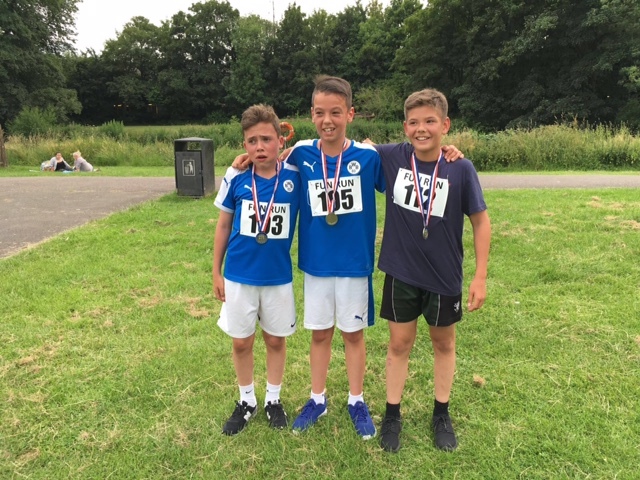 Theo and Joss completed a mini-triathlon (Brownlees watch out…..) while Fred and Tom reached the highest point in the UK – the summit of Ben Nevis. Great achievement! 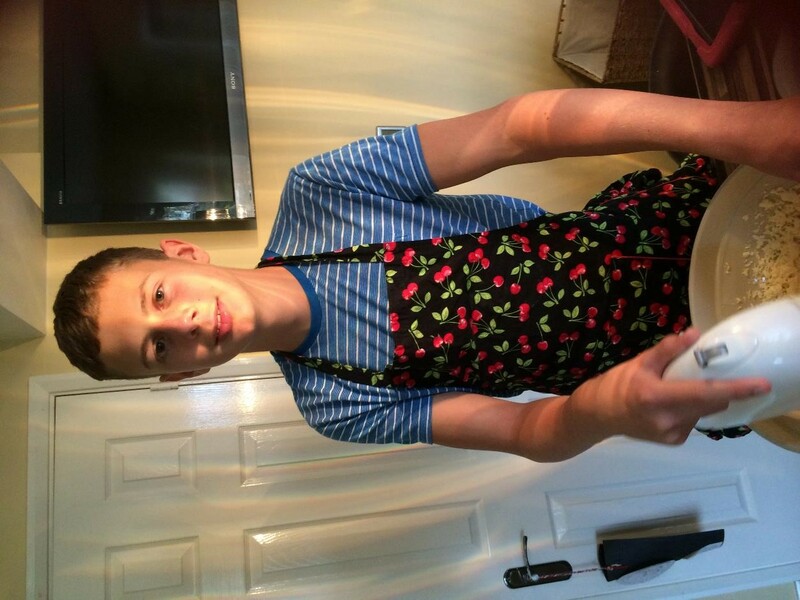 7 October : Year 7 update: Will ran the Frome 5k in July, and is now busy selling cakes. 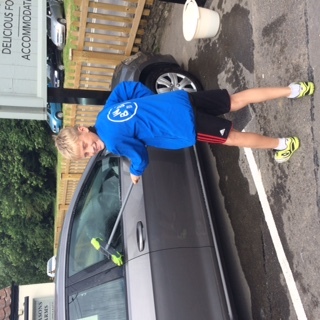 Toby worked his way along his street washing all the cars……and Ryan was sponsored to cycle all the way from Bath to Bitton. Well done all of you! 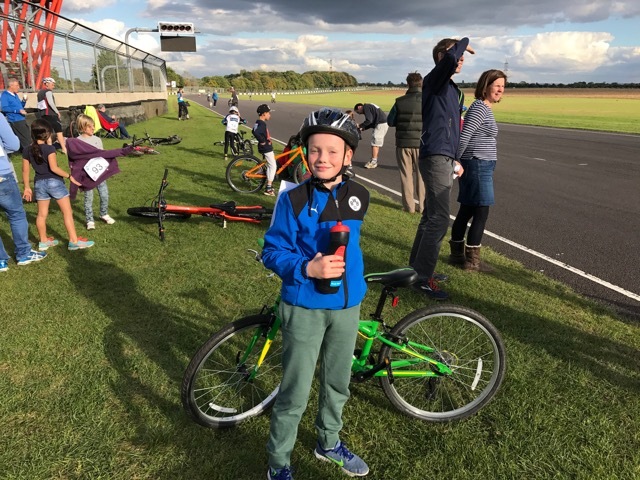 3 October : the boys have been very active – Stanley travelled all the way to Newcastle in September to run the Junior Great North Run, and Harrison swam, biked and ran his way around a min-triathlon. Good efforts boys! 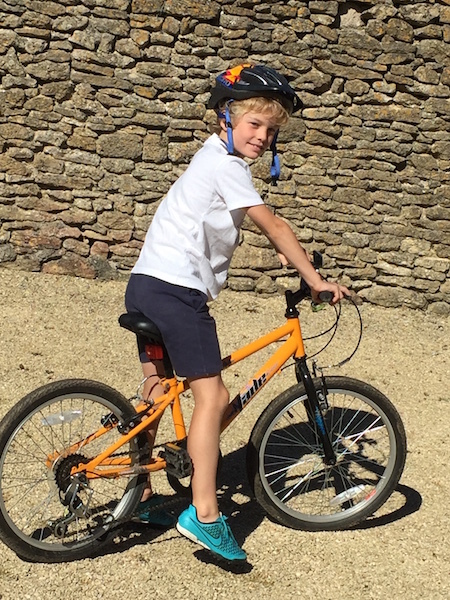 12 September : Little Cade completed a 20 mile non-stop bike ride, and was still smiling at the end! 8 September: Ross has been super busy fighting with washing machines, vacuum cleaners, the oven and has even found time to eat a few cakes for good cause. Well done Tim, up the Toffees! 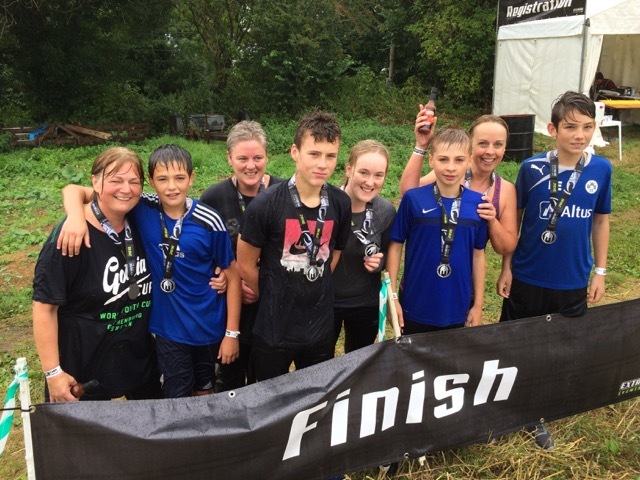 7 September : Chilli chase – well done Leo, Chris, Joe, Sam and mums and sister! 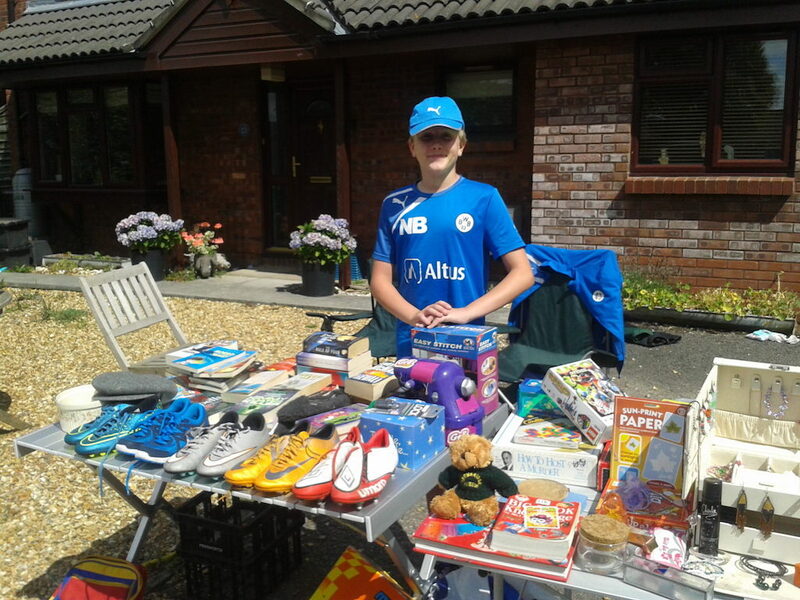 6 September : James had good clear out of his bedroom and had a very successful car boot sale (and bumped into Ben and Archie there who were doing the same thing) – while Joe has been doing all the odd jobs at home…. 4 September : Jago and Alfie ran a very successful (and wet!) 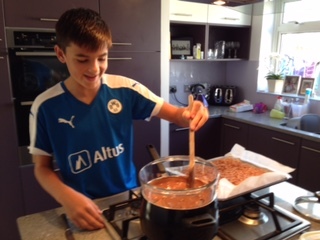 football fun afternoon, lots of fun was had….. and Liam has been baking and selling cakes and even did the washing up afterwards! 31 August: Ethan the builder! 29 August: Despite the bank holiday weekend, Surfs have been sweating away. 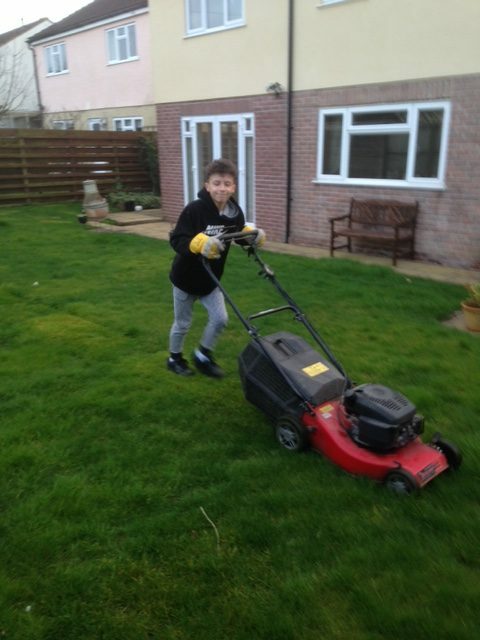 Well done to Luca who worked in the community centre raising £90 whilst Dan has been fighting with nature! 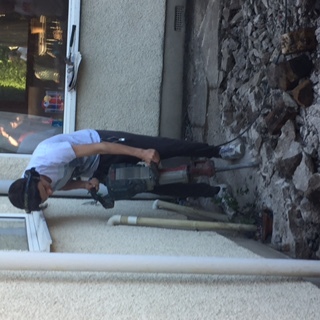 28 August: Whilst Ben has been dog sitting and walking, Sheepy has been preparing for life as a builder! 26 August: Tom ER did the Frome 5Km race against 500 men, women and children. 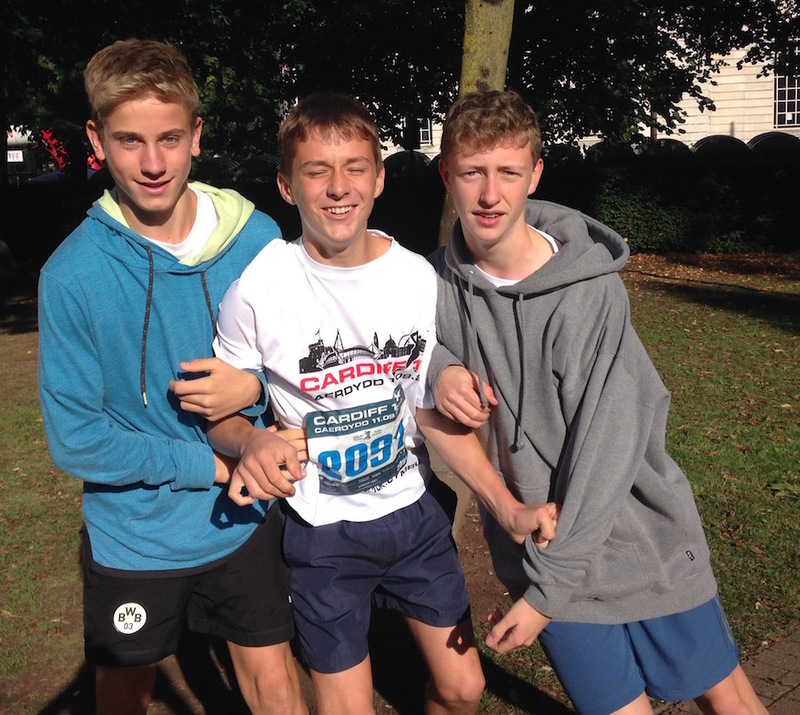 Not only did he finish as the first junior, but he came 12th overall and managed to raise £75 – top effort Tom! 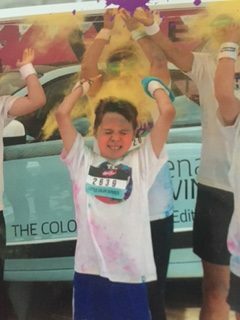 20 August: Niall S. is taking part in the 5KM Colour run in Birmingham this weekend – good luck Niall, that’s a long way for those little legs! 17 August:The Peacocks and Smales undertook a bike tour last weekend. Two days later, many miles under their belt, and plenty a sore backside, the boys completed the journey in time and in doing so raised well over £1000.00. Fantastic effort, well done chaps! 15 August: Scarecrow had a good clearout in his bedroom and held a garage sale, a long hot day in the sun but worth it! 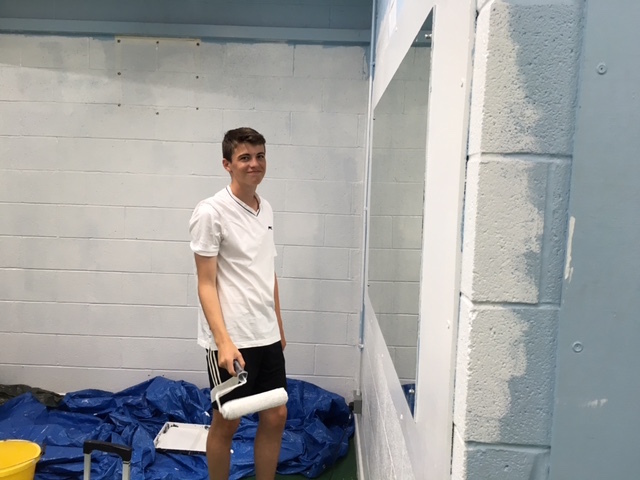 9 August: Swanny has been painting for his fundraising, here he is hard at it wishing he was back in Greece! 7 August: Tom has being selling his worldly possessions and Lucas has sold his Play Station 3 – good riddance I reckon! 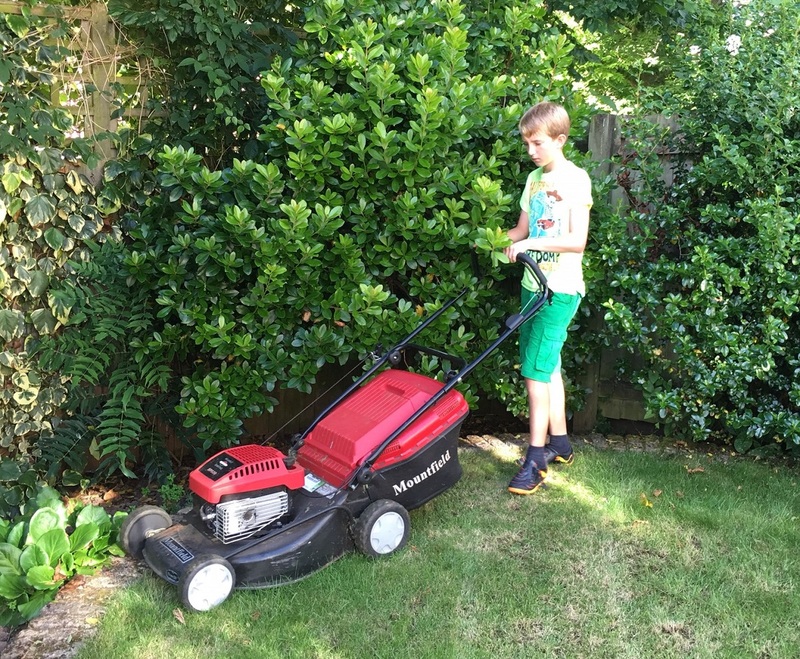 6 August holiday update: Hugh is busy gardening for his neighbours during the holidays, while George P is washing cars and dog walking. 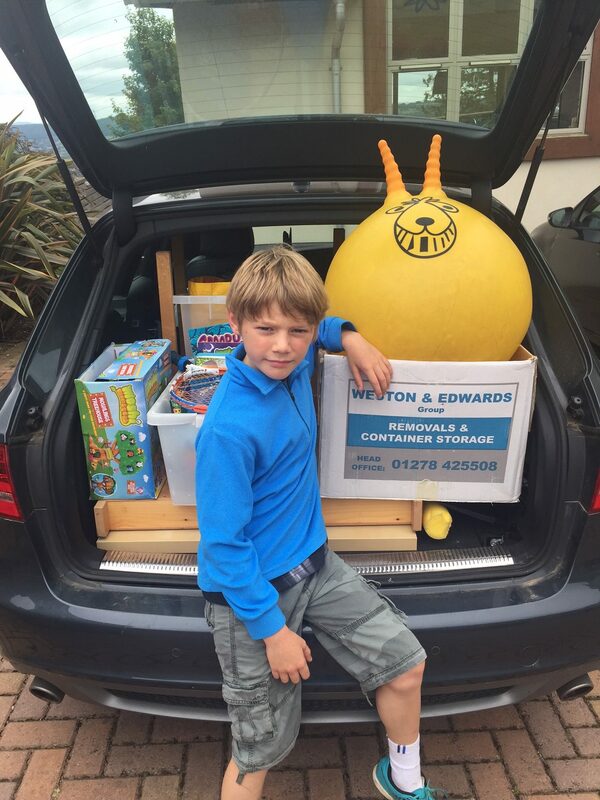 Angus spent a day clearing out his room and toys for a car boot sale at Lansdown Racecourse. He manned his stall from 7.30am, and raised £64 during the morning. Did the hopper fit in the car?! 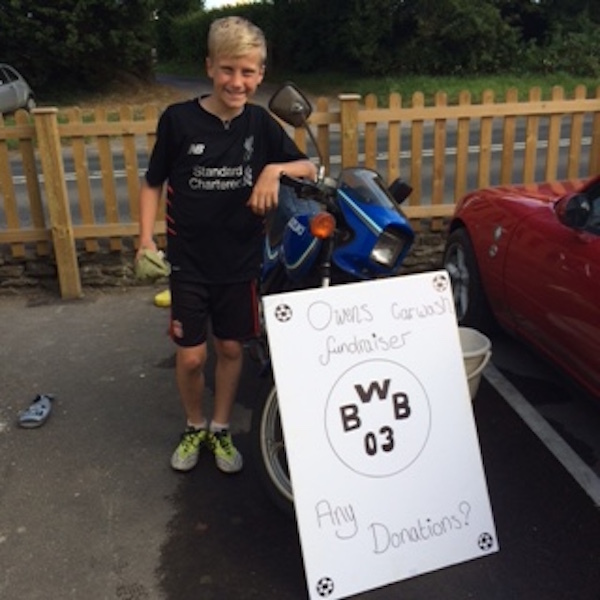 Owen is still washing cars and bikes…….£170 raised now! 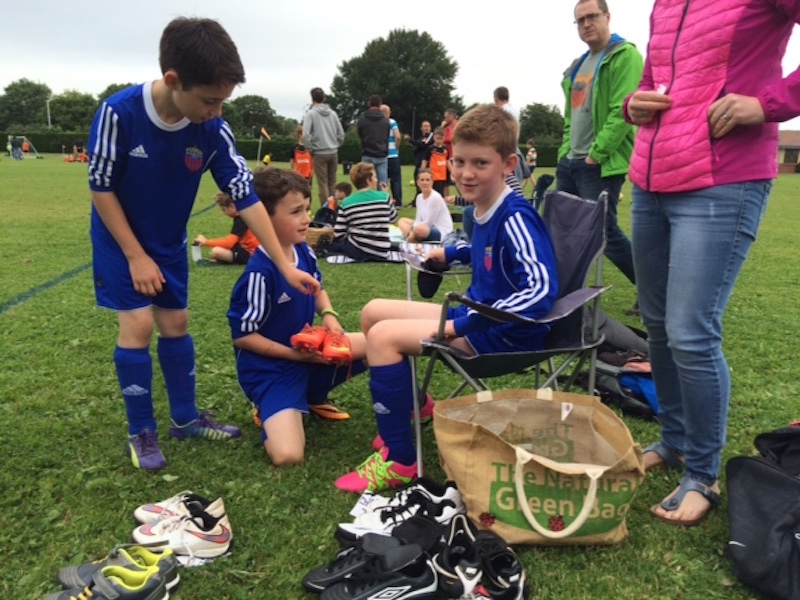 George spent 2 hours scrubbing and cleaning his old boots to sell at a football tournament and raised £34 – great work George! 29 July 2016: Ollie C has been using his holiday time to acquaint himself with the local wildlife and earning some money in the process! 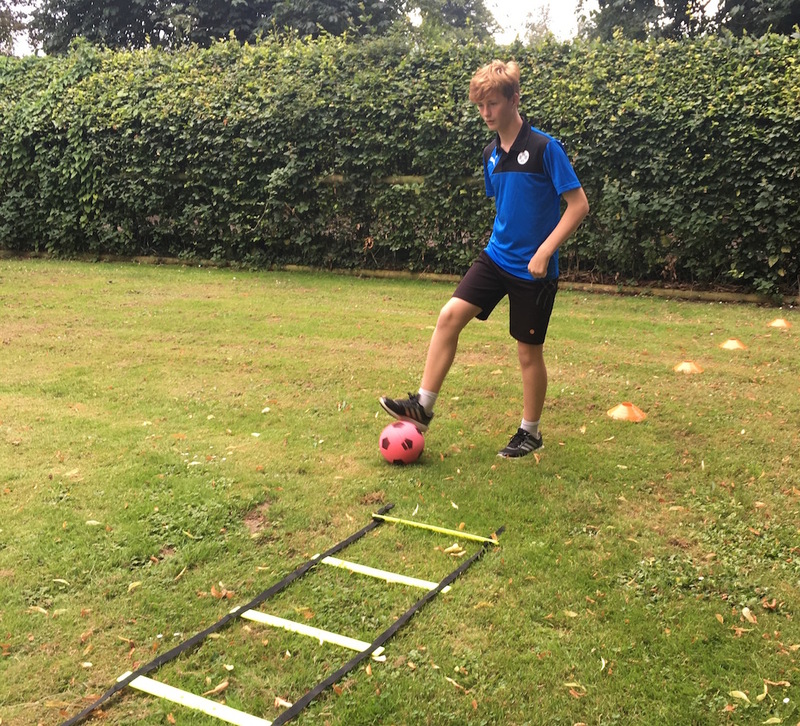 27 July 2016: Ben Whitson is undertaking a 60 mile bike ride and accumulated £170 sponsorship thus far. Good luck Redbull! 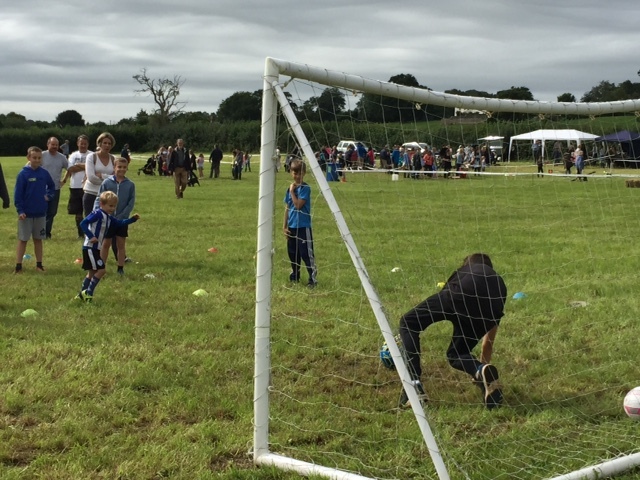 24 July: Dom Cooke: I had my first fundraising day with the Fat Fowl Bradford on Avon I helped out at the owners house for their nursery party, I did some drills with the children and played mini games of football in between the showers! I chatted to the parents about my experience in Ghana and BWB. the parents donated money by buying glasses of lemonade and Pimms! 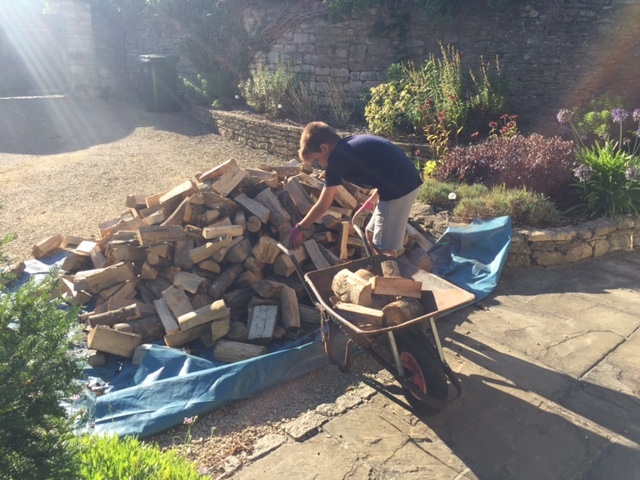 8 July 2016: Owen Monger has been busy in Frome! Look at the wax on, wax off action on these cars – well done Owen! 3 July 2016: Dylan Jones is doing a river run on Wednesday with Nasher and Lew Lew and currently has £260 sponsorship! Well done Buble! 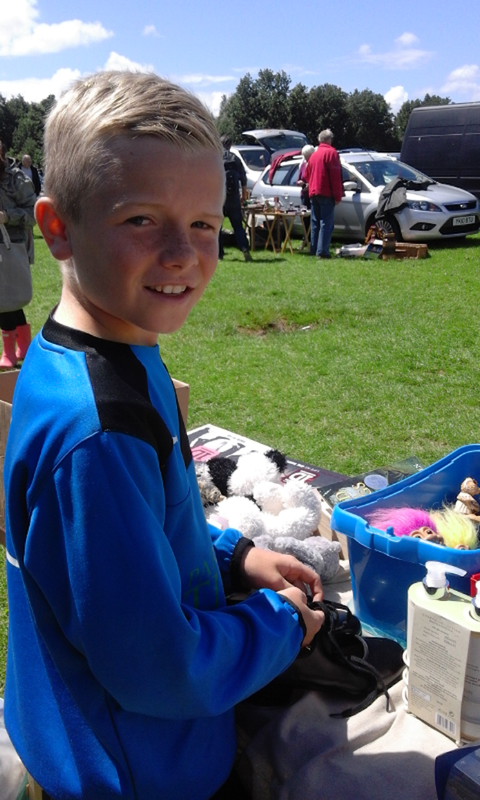 2 July 2016: Ollie T has been busy at the car boot sale and washing cars. £50 so far! 24 June 2016: Dash is doing a Kayak challenge from Torquay to Brixham (approx. 7 miles) and has sponsorship money adding up to approx. £100 at this moment in time. Bravo Dash! He is also wheeling and dealing at school selling drinks etc. of which he has raised approx. £60 already.